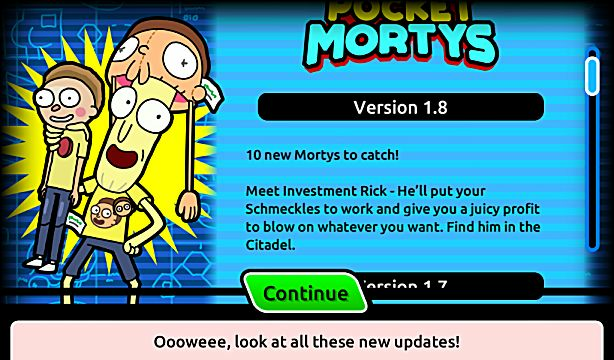 The Pokemon-inspired Pocket Mortys is easily the title most responsible for getting me into mobile gaming, which was a platform I just didn't devote much time to before this hilarious little gem landed at the beginning of the year. 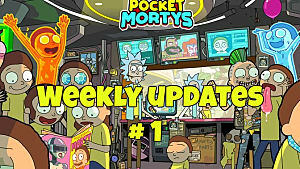 Lots of additions have arrived since then, including Lab Morty and the Morty Games arena, and the freshly unveiled Winter 1.8 update gives you a new Rick store to interact with (and earn more schmeckles), along with an additional 10 Mortys to collect and upgrade. 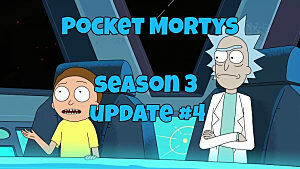 As an aside, series fans should be paying attention to these additions to Pocket Mortys, as there's some serious question of whether we are currently seeing things now in updates that might be included in Rick and Morty season 3, which rumors peg as either dropping in March of 2017 -- or even Christmas 2016! 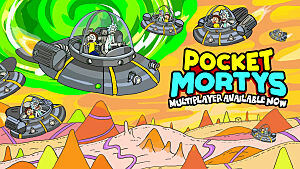 Regardless of the new season's release date, one thing's for sure: Pocket Mortys is getting some significant updates and we're going to check out the latest right now. 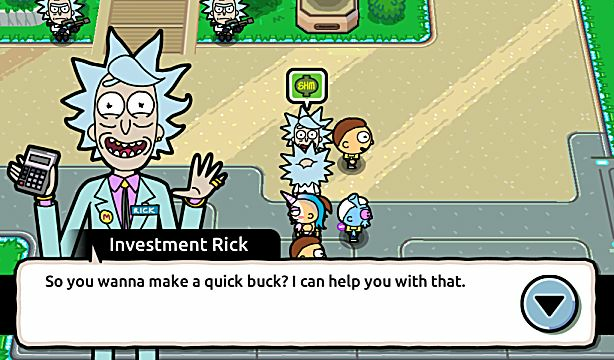 Found just south of the portal, this new Rick doesn't technically sell anything but does require you give him money. If you drop 100 schmeckles and choose one of three different timed tiers, you will get back your investment and then some when the timer runs out. The tiers are three hours for a 150 schmeckles return, six hours for a 225 schmeckles return and 24 hours for a 700 schmeckles return. If you're wondering, yes, you can do all three at once, but you can't do the same tier more than once at a time. In other words, you have to actually wait three hours for the first investment to come back, and you can't do the same investment over and over at the same time if you have a lot of schmeckles on-hand already. Essentially, this is just a clever way to get people to log in daily, rather than a depleting power resource or the typical daily rewards system featured in many freemium games. Not seeing Investment Rick? I had to manually go into Google Play on my Android device and tap Update, as it didn't give me an auto-update on this one for some reason. 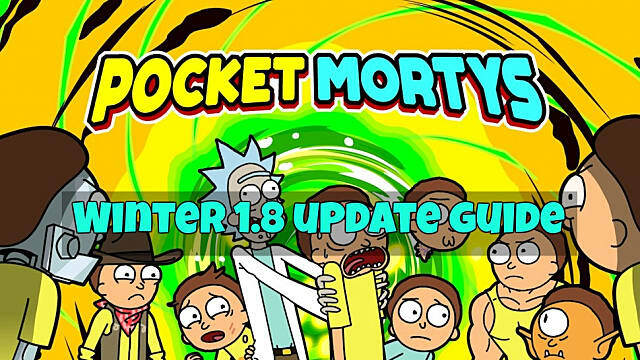 It wouldn't be an update without new Mortys, and that's exactly what the Winter 1.8 Pocket Mortys update brings, now tipping the total number to nearly 170 (remember when there were only 82?). The paper type additions start with the sad-looking Seedling Morty, featuring the Cell Splitter paper-element attack plus the Gooey Discharge neutral attack. 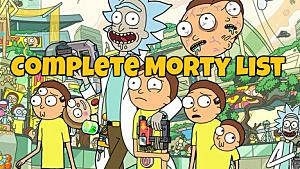 Combining two Seedling Mortys gives you the three-headed Morty Of The Valley, which has all the same attacks with upgraded stats, plus the Sprout attack that lowers an enemy's defense and accuracy, but also gives them an attack boost, which is a bit of a wash.
For the final paper tier, combine two Mortys Of The Valley to get the fully upgraded Mortydrangea. This drooling, thorny monstrosity gains the Poison Spit attack and starts with much higher stats. 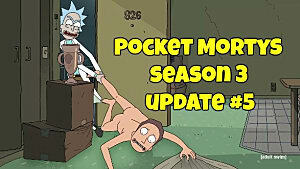 This upgrade path has Morty eventually becoming a hard drinking noir detective. The path starts with Rookie Morty, who has the standard Neutralize and Slam attacks, in addition to Extort, which raises your defense. 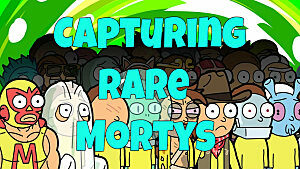 Melding two Rookie Mortys creates the Detective Morty, who gains the Humiliate ability for lowering an enemy's attack power. At the end of this evolutionary branch is Hardboiled Morty, who gets the crazy Attention power to raise attack, defense, speed and accuracy all in one shot. 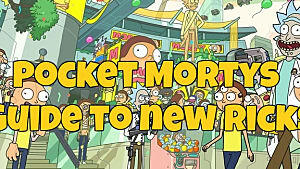 Outside any progression path is a scissor type called Poorly Cloned Morty, who was clearly one of Rick's many mistakes. Despite his appearance, he's got crazy high stats and an absurd range of attacks, including debuffs, neutral attacks, scissors attacks and a poison ability called Vile Spew. Finishing off the 1.8 update additions are a trio of scissors types seeing Morty onto the path of culinary excellence, beginning with Kitchen Boy Morty. 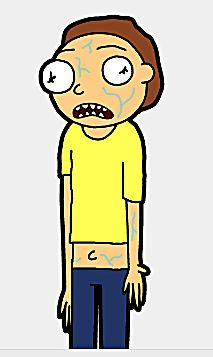 This bottom of the totem pole Morty has both Outburst and Nibble, in addition to the Mouth Off skill for lowering enemy accuracy. 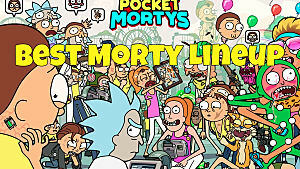 Combining two Kitchen Boy Mortys creates Pastry Chef Morty, who gains the Slice And Dice attack. This one does several low power attacks in a row, each with decreasing accuracy. And at the end of the road is Head Chef Morty, who gets the powerful Gooey Cheese scissors attack that deals damage and paralyzes foes. And there you have it. All the Mortys -- and Rick -- that came with the latest 1.8 update to Pocket Mortys. 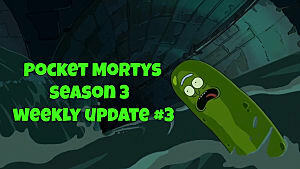 What's your favorite new Morty added in with this winter update, and how much money do you plan on investing with the shady Rick? Let us know in the comments below.